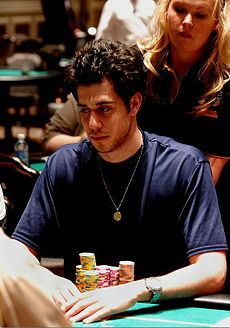 Nick Schulman is a young and powerful professional poker player, born on September 18, 1984. Nick Schulman began playing poker when he was 17, turned pro at 19, and became the youngest ever winner of a World Poker Tour event at 21. Nick Schulman is nicknamed “The Takeover,” and so far he has shown the poker world that he deserves his moniker. Nick Schulman won his way into the 2005 World Poker Tour Finals via an online poker satellite. He then proceeded to take the poker tournament over, going into the final table with a 3 to 1 chip lead over his nearest rival. He won the poker tournament, just a month after turning 21. The following month, Nick finished 4th at a World Series of Poker Circuit Event in Atlantic City and later in 2006, Nick defeated Freddy Deeb to win the WPT Battle of Champions IV event. On November 13, 2007, Nick Schulman was at it again. He placed 2nd in the 2007 Foxwoods WPT NL Holdem Championship for $864,652. Nick Schulman won his first WSOP bracelet on June 12, 2009 in the $10,000 World Championship No Limit Deuce to Seven Triple Draw event. He successfully, defeated a final table of strong players, including John Juanda, David Benyamine, and Michael Binger. As of January 2012, Nick Schulman has taken home over $4.8 million in poker tournament winnings, $905,788 of which is from the WSOP. On January 6, 2011, Nick took home $400,000 by placing 4th in the PCA NL Holdem Super High-Roller event, a $100,000 buy-in event.